Looking west (more or less): Fenway Park is at the right, halfway up the photo. 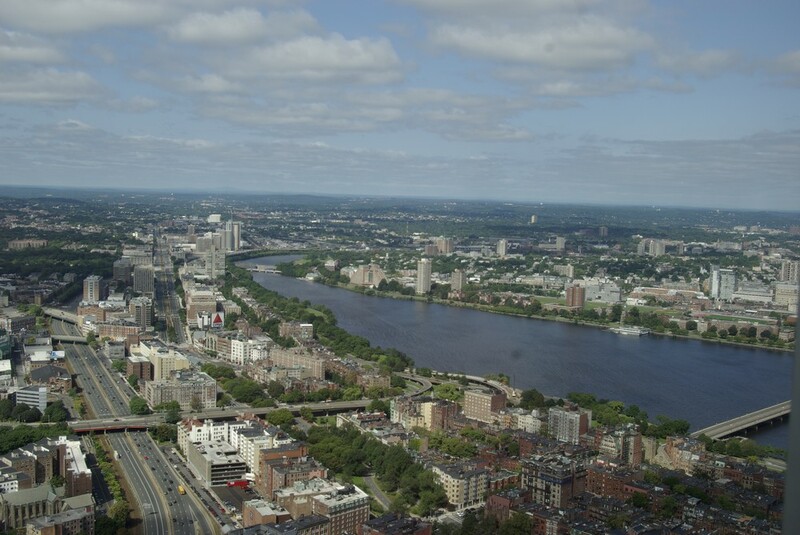 Looking a little to the north: To the left side of the photo, the buildings between the river and the Massachusetts Turnpike (the depressed roadway) and past the first overpass over the Turnpike are Boston University Buildings. Across the river on the right side of the photo along the river are MIT buildings and playing fields. Harvard is in the distance. 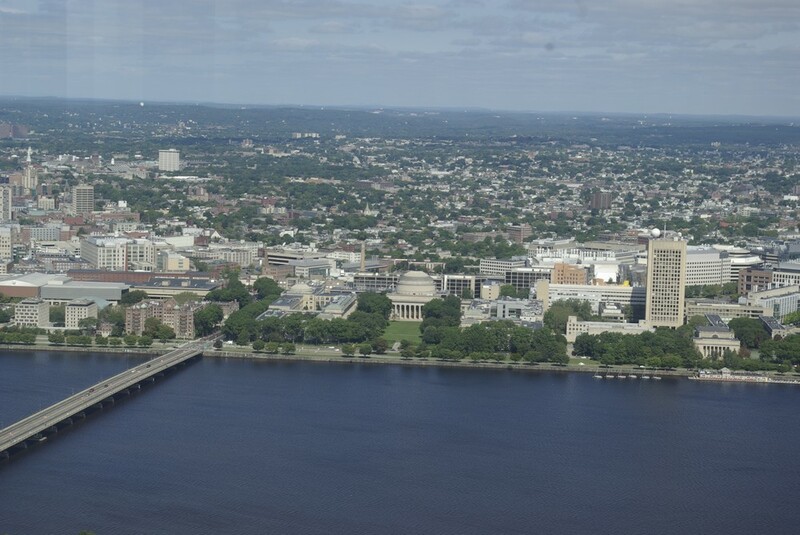 Looking north: Lots more MIT buildings are in the foreground across the river (mostly built on landfill). 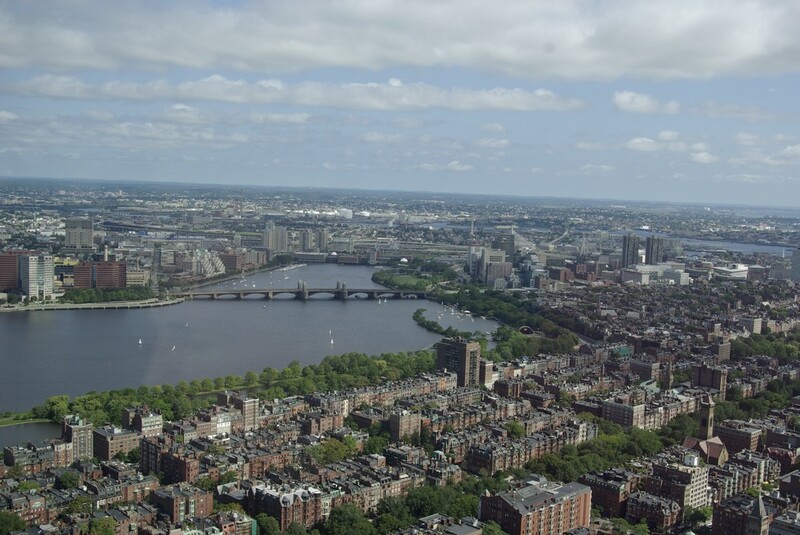 Looking northeast: Part of the Back Bay neighborhood is in the foreground. At the right side of the river on the near side of the bridge is a lagoon with some small boats. To the right of that is the Beacon Hill neighborhood. 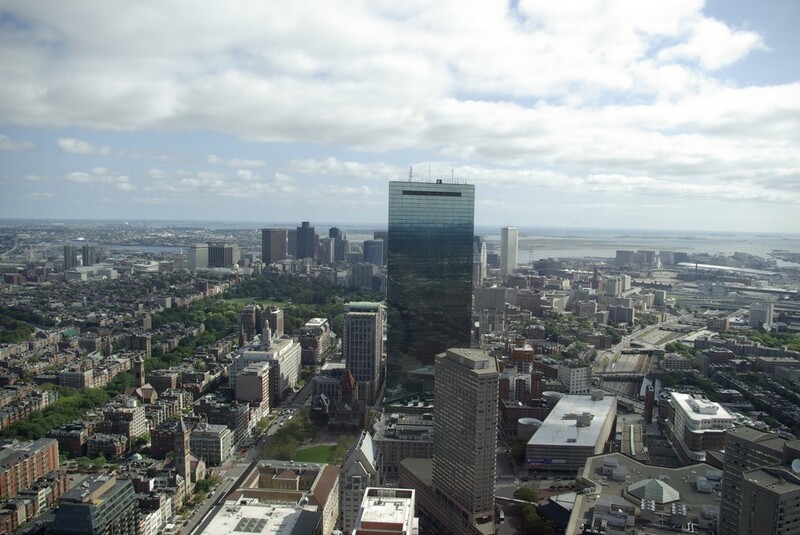 Looking east: In the middle of the photo is the Hancock Tower. 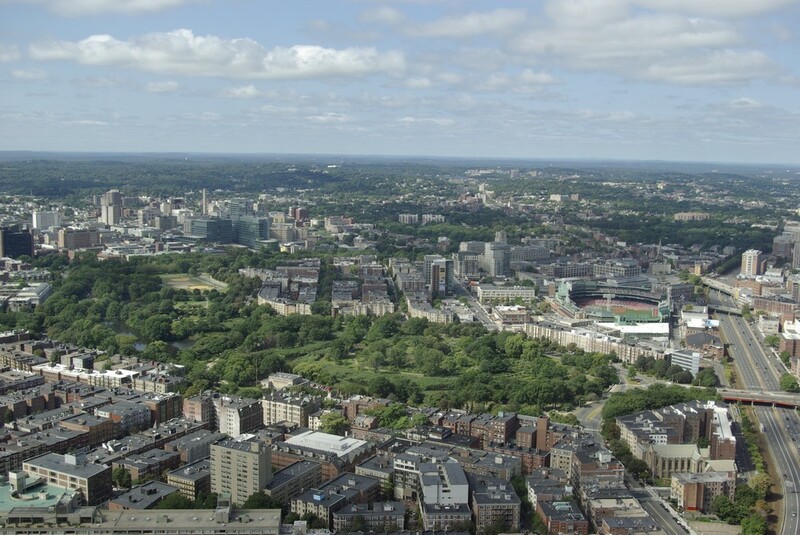 To its left, the big green spaces are the Commonwealth Mall, the Boston Public Garden and the Boston Common (with the open lawn space slightly visible and with Beacon Hill to its left). The conference hotel is approximately at the foot of the tall brown building beyond the far left corner of the Boston Common. The airport is in the distance across Boston Harbor to the right of the Hancock Tower.